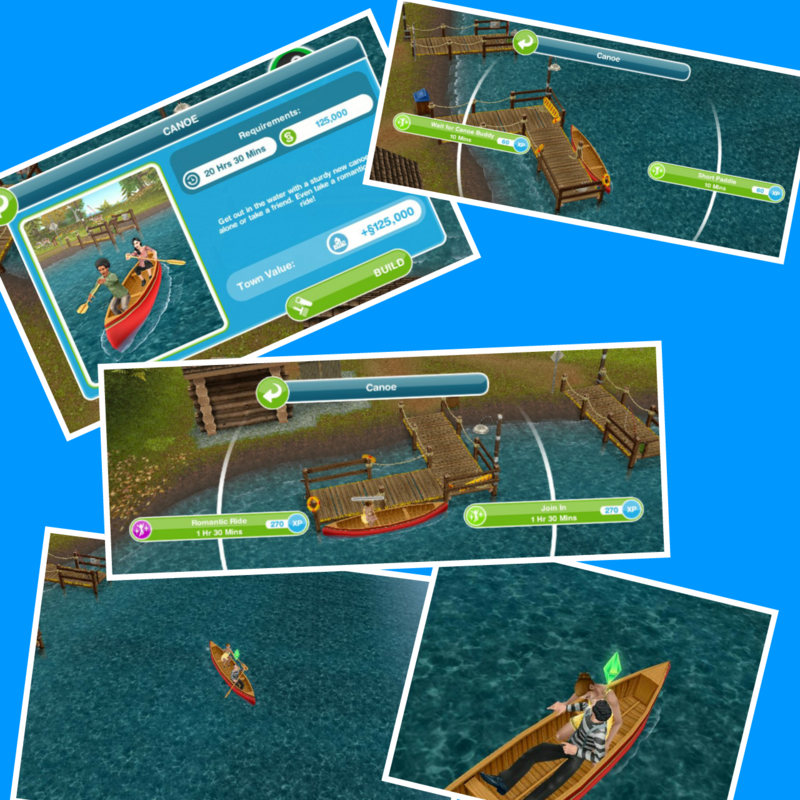 After the time has passed come back and click the exclamation mark above your sims head to find one of the story collectibles in that row. 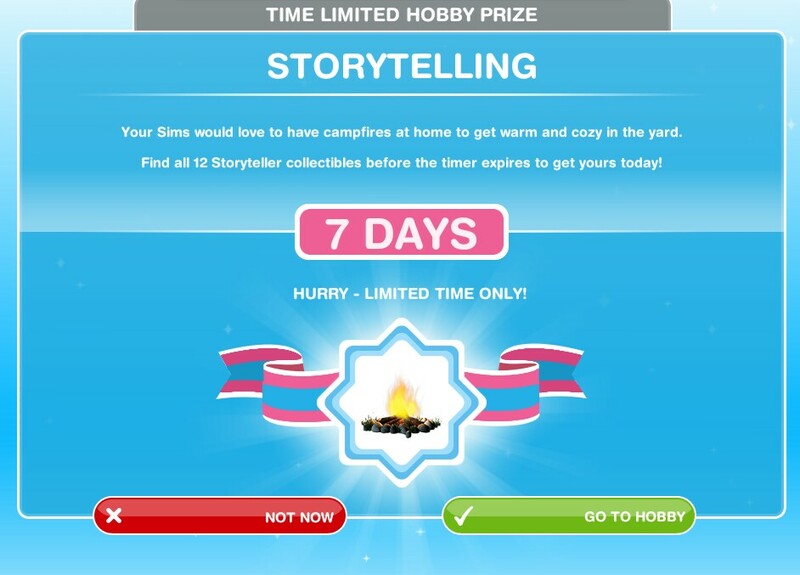 You still level up in this hobby but the hobby level up percentage isn’t important as the story collectibles don’t unlock depending on your level, when you finish a row of story collectibles you will unlock the ability to find the next genre of stories in the next row. Finally finished the survivalist hobby! Phew! Just building the bridge and I’ll get on with storytelling. You mention it’s better to speed up rather than using dice/LP’s for story telling. How do you speed up? I keep getting Kung Fu and I’m running out of time! Thanks. click on the action the click the USE LP button, to use LPs to complete the action straight away. Oh, right. If I do that will it fill in all the blocks so I get the campfire pack? no, its the same as doing the hobby once so you will find one piece. Are the percentages different between the different storyteller actions? For example: if the action stories give you 15% experience to the next level, do the romance stories give you the same percentage of experience, or is it lower because it takes less time? I have been telling the same romantic story for 2 days now. I can’t tell if this is a bug in my game, or not… but it’s really frustrating and I just don’t see how I’m going to complete in time! Same thing happened with the Jester – I was doing ‘bard’ for what seemed like eternity! Anybody experiencing the same thing? I don’t think its a glitch, they just like to make these timed hobbies extremely difficult to complete in time! Hi! 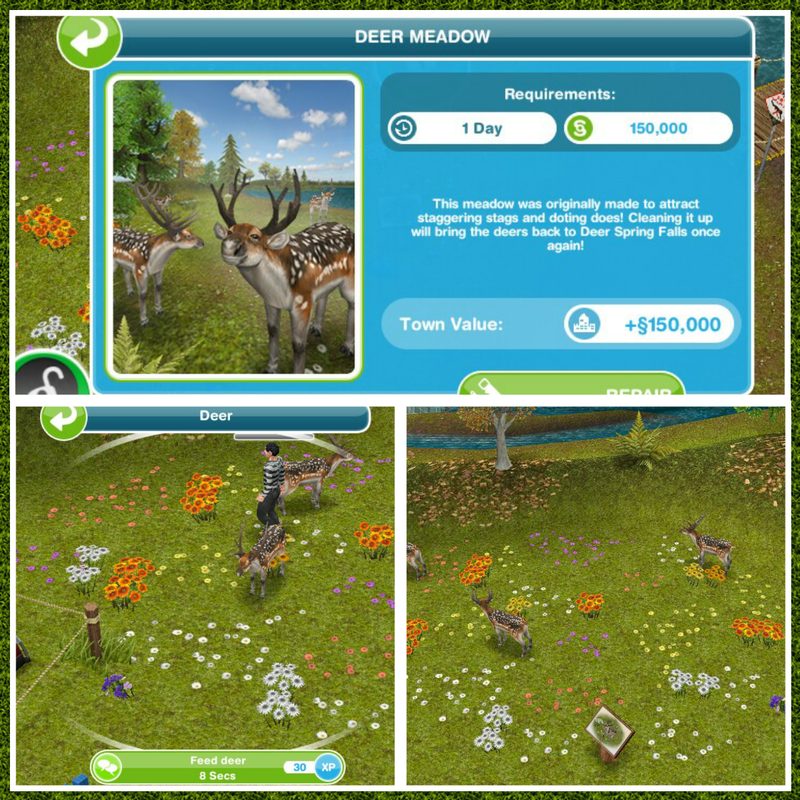 I was wondering if you had to complete the hobby in the timelimit for the canoe, tents and Deer meadow? I’ve been doing the story teller hobby for almost 2 months now….still stuck on the Zombie story! Has anyone else had this problem??!! The first time I completed it it was fine, but the second time I got that one several times in a row, they don’t like to make them easy to complete! I did not get the campfire. I had one sim in my town and the other in another town to get the task done. 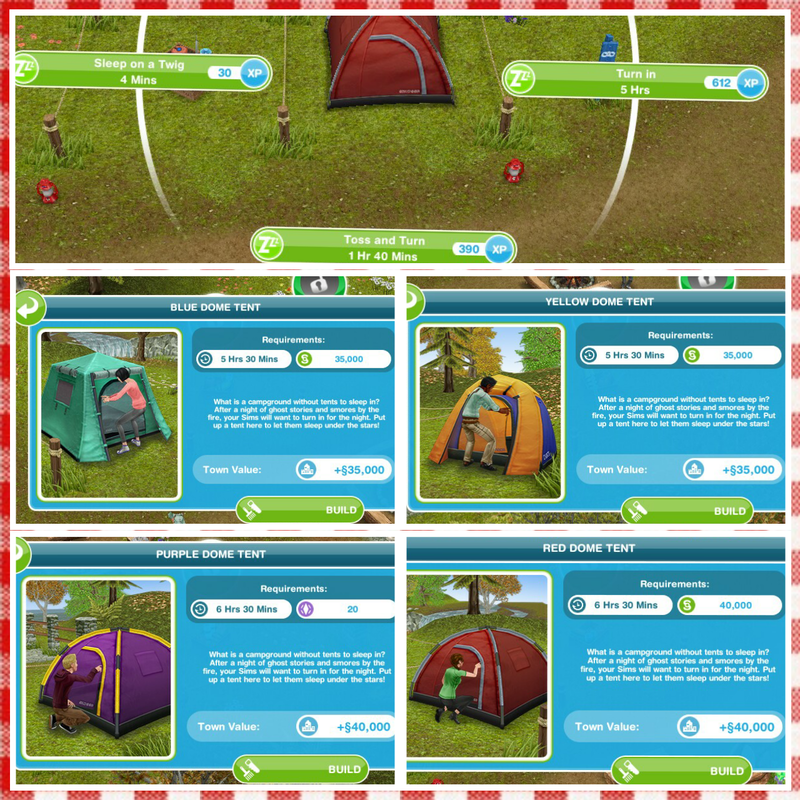 I rolled the dice on the last one and it was with the sim that was not in my town. Is this why i did not get it? I finished in time! I am completing one of the weekly quests, and one of the tasks is to roast marshmallows at the campgrounds. Well, I did not complete the quest in time to have access to the “special fire” that can roast marshmallows. Looks like the only way to complete the task is to spend LPs and skip the task…any advice? have you tried the fire at the campgrounds? Yes, I have tried the fire at the campgrounds. It only gives me the options for storytelling. Hello! Your blog is amazing! One question, if you don’t finish the storytelling in the time limit, do you not get the campfire at the campgrounds either? Hi, you are doing a great job. I hope you are feeling better now after losing your game. Just wondered if you had any suggestions? I started the storytelling hobby and used over 100 lp’s to get my sim to the start of level 5. I set it on the 6 and a half hour task and went to bed. In the morning it said that all the campfires were gone but I could still get the other prizes. I still had 7 days to go! I used all those lp’s so I could get the campfire. I have put in a ticket to FM so we’ll see but do you have any suggestions. I am saved to the cloud 21 hours ago, before the incident, but am afraid to delete and reinstall. So much for wanting something eh! Unfortunately you will just have to wait for them to reply, this seems to be happening a lot recently and only they will be able to fix it for you as this is a technical issue, sorry! Didn’t really think anything could be done but to get FM to help. They did get back to me and they put the campfire into my home store. The wait was just under 3 days, so that was good. Keep up the great job you are doing! mine is just messed up. it’s said that the story teller hobbies time up. but i just started 2 days a go. now im crying. I DO REALLY WANT THE CAMPFIRE. A lot of people are having this glitch at the moment on timed hobby events, you will need to contact EA about this so they can sort this out for you as I am unable to fix technical issues. I started story teller today and my game glitched and was over in 9 hours. This is probably the easiest timed hobby to complete. 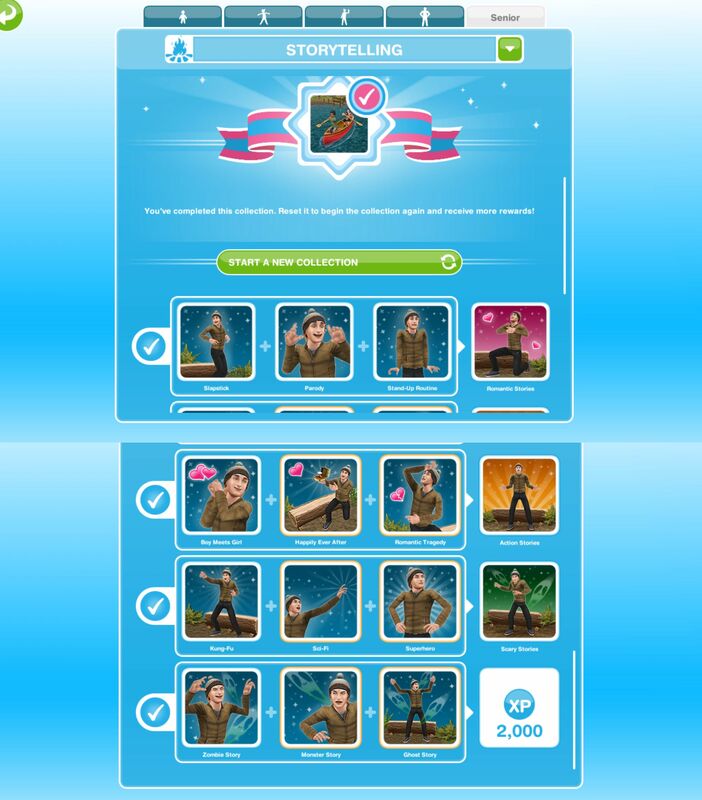 If you have two sims doing it at the same time the expected time needed to complete the collection is only 55 hours. The format of the collection makes its variance much smaller as well, i.e. it’s much more unlikely the time you have to spend is way longer (or shorter) than the expected time needed. Unfortunately if you don’t complete this in the time limit you will not be able to try again. I have been working on the storyteller event now for 9 days..I used two time extensions..I have had my sim doing scary stories for days now and I cannot get the last bit in the scary stories. Am I missing something or is it just so rare that I may not ever finish this quest?